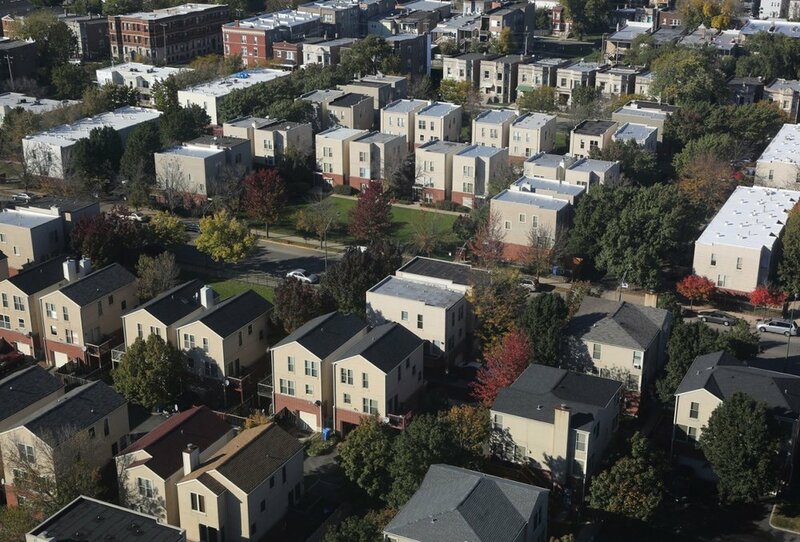 Why Is Chicago Sticking With Its Housing Voucher Rules as the Nation Shifts? Twenty-four metro areas are adopting a new, more fine-grained way of calculating rents. But Chicago officials believe that makes moving to low-poverty, low-violence neighborhoods in the city more difficult. But while the Chicago-Joliet-Naperville metropolitan area was one of the areas charged with adopting the new rule, the Chicago Housing Authority had already opted out of the program. Instead, the CHA will continue to use the Exception Payment Standard (EPS), which increases voucher values in “mobility” areas—communities with low poverty and violent-crime rates—up to 150 percent of FMR. It’s part of an ongoing attempt to find the right balance for voucher values that allows flexibility for voucher-holders to move where they want without overspending government money. Chicago hopes its housing voucher rules will move residents of high-poverty and high-violence areas up and out. Photo by Antonio Perez (Chicago Tribune). Historically, the majority of voucher values have been determined by FMR, which critics say does not reflect the nature of local housing costs. The city of Chicago, for example, is lumped into a metropolitan area with everything from northern McHenry County to southern Joliet. The region’s FMR for a two-bedroom in the 2017 fiscal year was $1,232, which is way below the going cost of apartments in thriving neighborhoods like Lincoln Park but significantly more than areas with depressed rents and property values like Englewood. By allowing for voucher values up to 150 percent of FMR, CHA officials hoped to give voucher-holders more freedom to move to neighborhoods with more opportunity, ostensibly decreasing racial and economic segregation. But the EPS model hasn’t been without its share of controversy. When it was initially implemented, the CHA set the possible subsidy at up to 300 percent of FMR. But after critical media coverage of these so-called “supervouchers” and a call for an investigation from former Representative Aaron Schock, the CHA shifted to the current standard of 150 percent in 2014. Now, nearly 2,000 households, or about 4 percent of CHA’s total number of households, have been given exception payment standards, most in the 111 percent to 150 percent range. Katy Ludwig, the CHA’s chief voucher officer, said the agency considered adopting SAFMR a few years back, but it decided to opt out after determining that the shift might hurt voucher holders in lower-income areas. Ludwig said that SAFMR would not allow for sufficiently high payments in higher-income areas, and that decreased voucher payments in lower-income areas would hurt voucher holders. “[SAFMR would be] pushing some rents down and shifting others up, and we found that was going to have a potential negative impact on families that were living in the areas where they were going down,” she said. Meanwhile, the Housing Authority of Cook County was one of the first public housing authorities in the country to adopt the SAFMR rule as part of a HUD pilot program in 2012. “The geographic size of Cook County is huge—it has some of the most affluent and some of the poorest suburbs in whole country. We looked at [the pilot] as an opportunity to provide housing opportunities in different areas of the county that wouldn’t normally be available,” said Richard Monocchio, executive director of HACC. For example, in the relatively affluent northwest suburb of Arlington Heights, the SAFMR for a two-bedroom apartment can reach up to $1,370. The equivalent standard in south suburban Robbins, where almost a third of families are below the poverty line, can fall as low as $990. Monocchio says he’s pleased with the results from implementing the pilot: From 2010 to 2015, the number of new voucher-holder families who moved into high-rent ZIP codes increased from 17 to 21 percent. There’s not much research on whether EPS or SAFMR is a better policy approach. In a 2016 blog post for the Metropolitan Planning Council, Marisa Novara suggests that, at least in the city of Chicago itself, it’s the former. She notes that the SAFMR subsidy for Lake View would be $1,280, while an EPS of 150 percent would be $1,764, much closer to the $1,880 asking rent Novara found through a quick Craigslist inventory. Still, the EPS only raises subsidies—it doesn’t require the CHA to lower the subsidy amount in lower-income neighborhoods, a process that instead takes place through negotiation with individual landlords. That means rents could be inflated in these areas by landlords seeking to receive the maximum voucher subsidy, a phenomenon which City Bureau is examining in an ongoing project. The shifting payment standards, however, still haven’t fully addressed long-term problems with segregation and housing discrimination in the city. Last year, a report from University of Chicago and the Chicago Fair Area Housing Alliance showed that voucher-holders in Chicago live in the city’s poorest neighborhoods on the city’s South and West sides, and that they disproportionately report experiencing discrimination when attempting to move to wealthier parts of the city. This report was produced in partnership with Chicago Magazine.